In the year since its launch, more than 3,700 people from all 50 states and D.C. have sought legal help from the TIME’S UP Legal Defense Fund, and that number grows every day. Nearly 800 attorneys have joined the network so far. Some are taking cases pro bono or at a reduced rate and some are receiving TIME’S UP Legal Defense Fund support to help defray some fees and costs. This will enable many people who could not otherwise afford an attorney to get legal help. The fund has already allocated more than $5 million to 75 cases ranging from a dollar store cashier in Brooklyn to fire department paramedics in Chicago. Please see the TIME’s UP Legal Defense Fund’s Annual Report here for more details on 2018. Because of you, so many women—and men—are now able to speak out and insist on safe, fair and dignified workplaces. But there is still so much more to do, and we need your help to continue this vital work. The TIME’S UP Legal Defense Fund connects those who experience sexual harassment, abuse or related retaliation in the workplace or trying to advance their careers with legal and public relations assistance. The money raised will help defray legal and public relations costs in select cases based on criteria and availability of funds. The Fund is housed at and administered by the National Women’s Law Center, an established, national women’s rights legal organization. A network of lawyers and public relations professionals across the country work with the Center’s Legal Network for Gender Equity to provide assistance to those ready to stand up. Access to prompt and comprehensive legal and communications help will mean empowerment for these individuals and long term growth for our culture and communities as a whole. Tax-deductible donations made to our GoFundMe campaign will go to the TIME’S UP Foundation, a 501(c)(3) nonprofit, which supports the TIME’S UP Legal Defense Fund. Previously, tax-deductible donations to the GoFundMe campaign were directed to The Direct Impact Fund, a 510(c)(3) nonprofit which helped launched the TIME’S UP Legal Defense Fund. Thank you for joining this movement - for your contribution, for sharing this campaign with others, and for standing together with us, so that all people can live free from sexual harassment and violence. The voices of those affected in every industry have been silenced for too long. From everyday people in the service industry, to farmers and businesspeople, to the entertainment and media industry and beyond, stand with us and let your voice be heard. The need here is so great, so we'll continue to raise our goal as the campaign continues. Nearly 800 attorneys have joined the network so far. Some are taking cases pro bono or at a reduced rate and some are receiving TIME’S UP Legal Defense Fund support to help defray some fees and costs. This will enable many people who could not otherwise afford an attorney to get legal help. The fund has already allocated more than $5 million to 75 cases ranging from a dollar store cashier in Brooklyn to fire department paramedics in Chicago. Please see the TIME’s UP Legal Defense Fund’s Annual Report here ( https://nwlc.org/resources/times-up-legal-defense-fund-annual-report-2018/) for more details on 2018. Because of you, so many women—and men—are now able to speak out and insist on safe, fair and dignified workplaces. But there is still so much more to do, and we need your help to continue this vital work. Thank you so much for your generous support of the TIME’S UP Legal Defense Fund. The National Women’s Law Center is honored to house and administer this Fund, and your support will help women who have experienced sexual harassment and assault at work find justice. The National Women’s Law Center ( http://www.nwlc.org/) is a nonprofit organization that works to improve the lives of women and girls in the United States. For more than 45 years, our talented staff of attorneys, researchers, experts, and advocates has championed national and state policies and laws that help women and girls achieve their potential throughout their lives and fought in the courts to make the promise of justice a reality. We’ve been on the frontlines of every major advance for women and girls since our founding in 1972, and we’re working to ensure that we achieve lasting legal change to prevent and remedy sexual harassment at work, at school, and throughout our society. 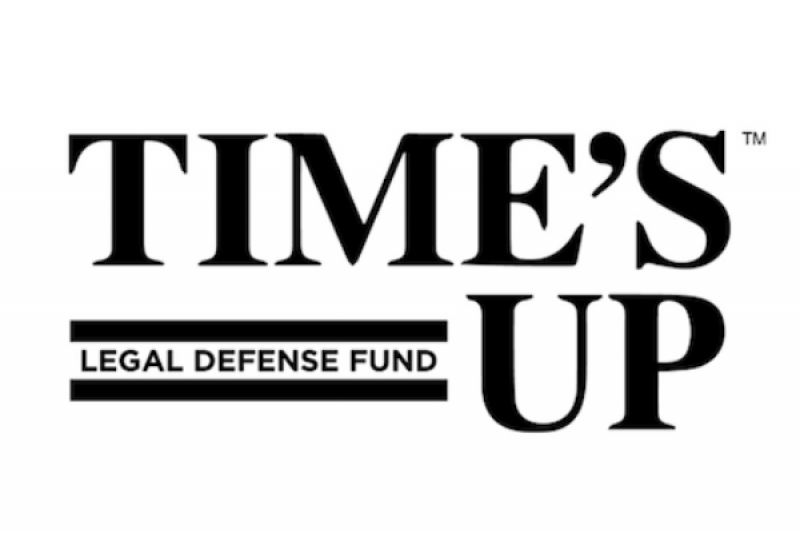 Your support of the TIME’S UP Legal Defense Fund will help connect individuals facing sexual harassment or related retaliation in the workplace or in trying to advance their careers with legal and public relations assistance. It will help defray the costs of legal representation and public relations help in select cases, based on priority criteria and availability of funds. Your support is already helping provide the most vulnerable women in the workplace — disproportionately women of color and women in low-wage jobs — with a place to turn for legal resources. So far, more than 1,000 individuals have contacted us with their stories about sexual harassment, and we are connecting them with the hundreds of TIME’S UP attorneys in our network. By supporting these individual women seeking justice at work, case by case we will change the systems that allow abuse and discrimination to occur on the job and elsewhere. You can help us build on this amazing momentum by spreading the word about the TIME’S UP Legal Defense Fund. Ask your friends and family if they can support the fund ( https://www.gofundme.com/timesup), too. Share the sign-up form ( https://nwlc.org/join-the-legal-network/) with any attorneys you know who may want to give their expertise and time. And if you know someone who has been harassed at work, send them the link to our legal assistance form ( https://nwlc.org/legal-assistance/). Sexual harassment is an exercise of power. It is used to enforce and perpetuate gender inequity at work and to reinforce other power disparities — including against people of color, immigrants, and LGBTQ people. But collectively, we’re now exercising our power to put an end to sexual harassment. And with your support, we’re ready. To receive emails about the work of the National Women’s Law Center, sign up for its email list ( http://bit.ly/2oA761m).